We have a fantastic opportunity for a Recruitment Assistant to join our supportive and friendly team on a full-time, permanent basis in our Bristol office. People are at the heart of our business. Our award-winning Recruitment team is highly respected for the central and strategic role it plays in making Osborne Clarke a great place to work. The team is made up of 10 people, covering recruitment at all levels across our 3 UK offices. 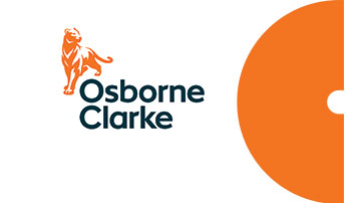 We focus on attracting the best people to the firm and work closely with the wider HR team to help ensure Osborne Clarke's continued growth and success. Osborne Clarke is recognised as one of the UK's most forward-thinking law firms. Our success is down to excellence in our approach to our clients, our people and our business. We are renowned for our unstuffy and supportive culture, encouraging all our people to make the most of their talent with stretching careers in a fast growing and exciting environment. Our focussed strategy and positive working environment have been rewarded by many prestigious awards for career progression, management and culture, including being named 'Firm of the year' 2018 by both Bristol Law Society and Roll on Friday. With a growing international reach, particularly in Europe but also across Asia and the US, we look after a wide range of commercial clients such as Facebook and Vodafone as well as entrepreneurs and digital start-ups. Reporting to the Senior Recruitment Manager and working closely with the Recruitment Advisor, you will provide support to the Recruitment team with a focus on business services vacancies including Marketing, HR, Compliance and IT. You will build and maintain positive relationships with a variety of internal stakeholders, helping to support the on-going success of the Recruitment process. You will have a background in administration ideally in a similar Recruitment/HR related role or apprenticeship. Exceptional levels of attention to detail and an understanding of the importance of accuracy in your work are essential in this role. To submit your application, please click on the link provided. At Osborne Clarke, we are known for our open and inclusive culture. We believe that by investing in the diversity and wellbeing of our people, we create an environment where everyone can thrive to be the best that they can be. This means recognising that our people have lives and commitments outside of work. We have invested in connected working for our people and, where possible, we will accommodate flexible working for all our roles.